In the stillness I find my heart growing hot while I seek the person I have already found. God is so much more than I know. Little decisions over time make a big impact on our lives. We are often unaware of the gradual decline and the erosion in our lives but not unaware of the gnawing feeling it brings. Sometimes the answers you need to hear aren't the answers you want to hear. We never realize the power of real love unless we witness or experience a transaction, because real love costs. If we want to know our God-given gifts, we must know the giver. If we give Jesus what we have, what we give Him will never be less. Our bodies are simply our shells, the package for the spirit and the soul. 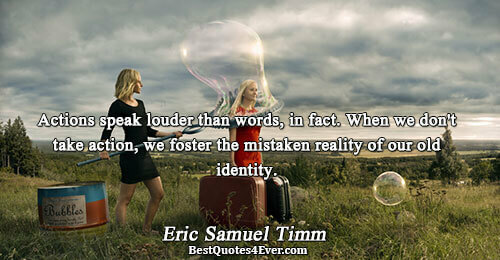 The noise distorts the truth but we can break through, we need to base our foundation upon the Rock. Through His Word we fall in love with Him more, and because of this we love more. Overeating at Thanksgiving is a case in point. It's a national tradition. It doesn't matter if you have a lot or a little money. It's what you do with it that determines its power.